What Are Good Spices For Lamb? You are here: Home / Cooking / What Are Good Spices For Lamb? The earthy bitterness of cumin goes well with the slightly gamey flavors of lamb. You can use the seeds ground, which is the traditional way but you can also use them whole. In either case, they will form a crust on the lamb. They will also infuse their flavor into the fat of the lamb as it melts down. If you are grilling the lamb, cumin’s bitterness will go well with the light char that you get from open-flame cooking. 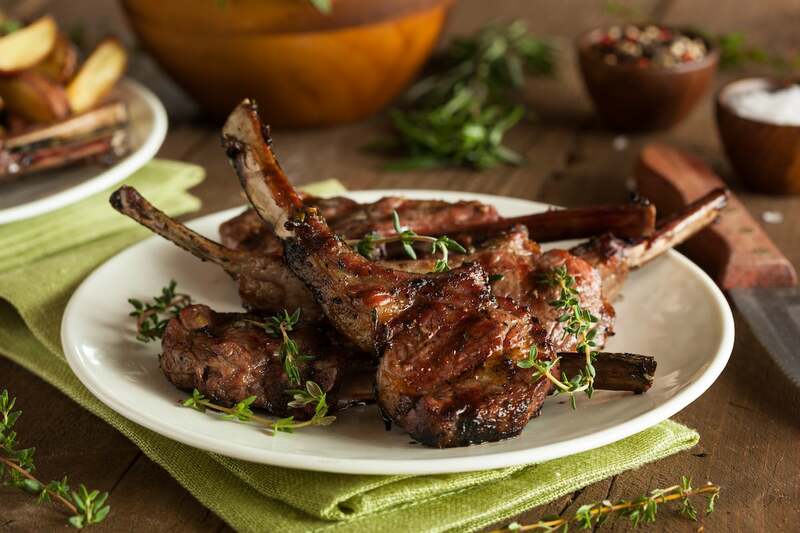 Rosemary is another classic seasoning for lamb and it brings a powerful resinous note to lamb’s strong flavors. 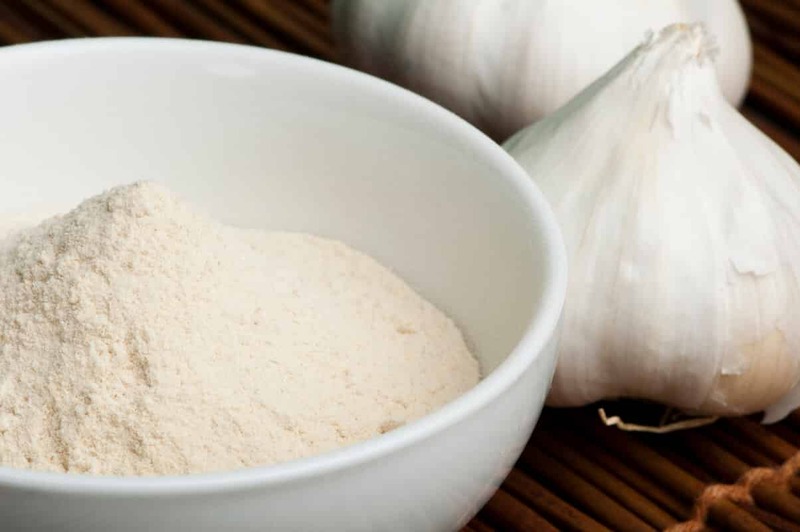 It pairs well with other herbs and spices on this list including garlic and black pepper. The traditional method involves chopping your rosemary leaves and applying them as a rub for roasted or grilled lamb. You can add whole sprigs or chopped leaves if you are braising the lamb. The strong savory notes of garlic work well with most meats, including lamb. When it comes to lamb, the more garlic you use the better it will be at competing with the intense flavor of the meat itself. 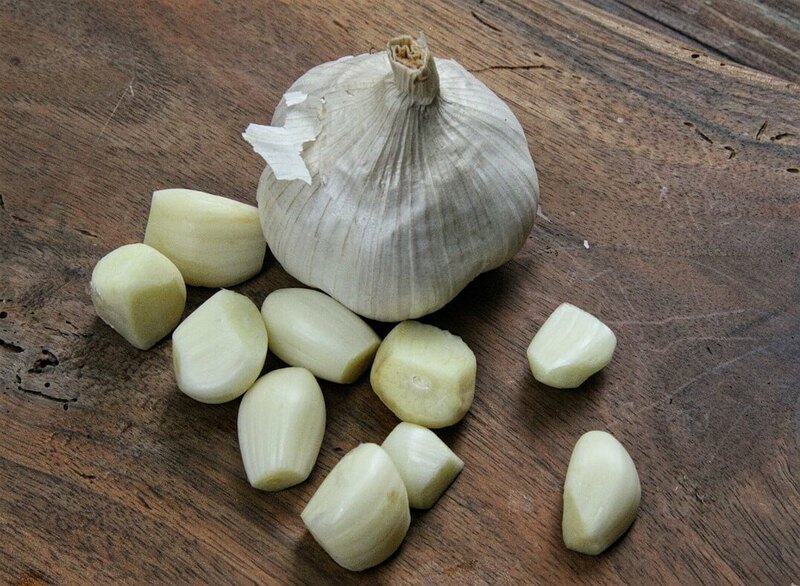 Garlic is a great addition to both garlic and cumin in that it combines well with those two flavors. Black pepper is the all-purpose savory spice. It can work with all manner of vegetables and meat. So versatile is it that you would have an easier time naming the foods that it doesn’t improve than you would naming those that it does. Black pepper works well with the other seasonings on this list by adding a mild heat and a light piney flavor. If you want a seasoning that captures all of the most important flavors that go well with lamb, curry powder is one of your best options. Curry powder is a spice mix created with the objective of making Indian spices appealing to Europeans. The ingredients can vary from blend to blend but most include fenugreek, turmeric, and cumin along with other spices commonly used in Indian cuisine. It has always been an all-purpose seasoning option with lamb dishes being among the traditional applications. Curry powder can be used as a dry rub or in stews and other wet dishes. Oregano is another powerful herb that is strong enough to compete with the flavor of lamb. While it might not work alongside every other flavor on this list, it will pair well with the most versatile of them including garlic and black pepper. Oregano is better suited to the Mediterranean-style lamb dishes than for the Eastern ones. Like curry powder, baharat is spice blend that can be used in a variety of applications. Baharat is from the Middle East and lamb is one of the meats on which it is commonly used. Baharat blends vary but typically include cardamom, black pepper, and cloves. In short, it contains spices that are pungent enough to mellow out the flavor of lamb.